This most recent legislative session was a doozy with regard to alcohol-related proposals. Many of the proposals introduced by lawmakers sparked widespread, vocal opposition among the alcoholic beverage industry and consumers alike. Craft breweries and craft beer fans, in particular, had good cause to be concerned. Perhaps the most nefarious alcohol-related proposal was a 600% increase on the state’s already bloated – in comparison with neighboring states – excise tax on beer. Fortunately, this proposed tax increase was ultimately rejected, owing much to the outcry from breweries and beer fans across the state. Also on the legislative agenda this past term was a proposal authored by Senator James Metzen (DFL) and Representative Joe Atkins (DFL) to amend the off-sale growler licensing criteria. Most significantly, the proposed amendment was aimed at raising the annual production limit for qualifying breweries from 3,500 barrels per year to 20,000 barrels per year. Under existing law, production breweries can only sell growlers of their beer if they produce fewer than 3,500 barrels per year. Although growler sales do not usually make up a substantial part of a brewery’s revenue, growler sales are nonetheless a worthwhile revenue stream for breweries as they not only increase overall retail sales but also provide a unique customer experience in that customers must visit the brewery itself to buy a growler. For breweries with taprooms, this is a great way to add value to retail sales. Further, smaller breweries have come to rely on revenue generated by growler sales. The 3,500 barrel threshold is relatively low even for breweries with modest production goals. In order to grow their businesses beyond 3,500 barrels annually, breweries must therefore choose to either eliminate growler sales entirely or fix their annual production at some point below the 3,500 barrel threshold. For obvious reasons, neither of these approaches are desirable. Raising the annual production threshold to 20,000 barrels is a step in the right direction. And while the growler proposal passed to relatively little fanfare, the measure garnered substantial support leading up to its passage. 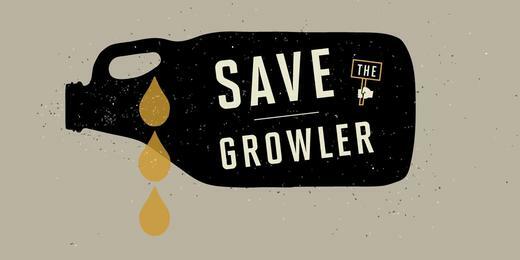 Save The Growler, an effort organized by the Minnesota Brewer’s Association, was very active across multiple social media platforms in encouraging voters to take action by contacting their elected representatives. Thanks to the support of Minnesota craft breweries and beer fans, most of the state’s smaller craft breweries will not have to worry about losing revenue from growler sales in the near term. An annual production threshold of 20,000, however, is still relatively low, and is likely to be a source of frustration for Minnesota’s craft beer industry in the long term. Consider Surly Brewing Co., which is one of the fastest growing breweries in the U.S., let alone Minnesota. According to data published by the Brewers Association, Surly produced in excess of 20,000 barrels in 2012, and is on pace to brew approximately 30,000 barrels in 2013. Thus, Surly growlers will remain a unicorn for the time being. Newer Minnesota breweries hoping to continue selling growlers should also be concerned about the new 20,000 barrel limit. Fulton Brewing exceeded the 3,500 barrel limit in its first year of operation at its current downtown Minneapolis brewery. Indeed Brewing Company, one of the state’s fastest growing new breweries (and still less than a year old), announced in February that it is increasing its production capacity to 6,400 barrels. Market analysts predict that the craft beer segment will continue to increase its annual production by double digits every year through at least 2017. Fulton and Indeed could, therefore, reach the 20,000 annual limit within the next few years, which would create for them the same dilemma regarding growler sales as existed under the 3,500 barrel threshold. Minnesota breweries and beer fans should be happy about the recent increase in the annual barrel limit regarding growler sales. But in the years ahead, we should continue to ask our legislators to relax arbitrary limits on worthwhile revenue streams for breweries. Brewers and consumers alike would benefit from a stable, predictable market for growlers. The growler amendment can be viewed here, and officially takes effect on July 1, 2013. Matt Schwandt is an obsessed homebrewer and craft beer fan. Matt is also an attorney working at Snyder Gislason Frasier LLC in Minneapolis. When he’s not brewing, drinking or writing about craft beer, Matt enjoys being a dad and rockin’ out with his gravity-defying cover band Viva Knievel.